My Amiga 500 is making a return to its rightful place. It has been living in the shadows for too long, neglected and forgotten in favour of the Amiga 1200 and the PC. Now the time has come to pamper and spoil it 90’s style. In other words, I’m going to give this computer an extreme make-over! This is a very basic setup as you can see. It’s worth mentioning that the machine looks OK after all these years, but sadly everything is not as it should under the hood. It turns out the floppy disk drive is not working properly anymore. It needs replacing. If you’ve got any suggestions for additional stuff to enhance the computer with, please feel free to comment below. Thanks in advance! Do you know if there is a way to run adf files on the 500 from for example a card reader? The problem is that you need to use floppy disks which, if in storage so long, might not work any more. I remember reading about this guy from Poland (?) that created something like this. By doing this you should be able to use a lot of modern USB-units. 🙂 You can then unpack the .ADF’s from a memory card or something. Another solution could be to get an IDE-controller for the Amiga 500 and then use an IDE to Compact Flash adapter. That way you could use cheap CF-cards and fill them up with .ADF’s. Hmm.. I see in your comment now that you wondered about running the .ADF directly from the card. Maybe one could unpack the .ADF to RAD:? But that would recquire a more modern Workbench than 1.3 of course. Thanks! I still got floppy disks so I can always us that at first. Wouldn’t the HxC floppy emulator be a good option? I myself have one, not installed it yet, this should be able to use the ADFs without converting them? That is great stuff, Rolux! Thanks for the input. I’m sure many will find that helpful! 🙂 I’m tempted to install such a unit myself due to possible problems with ageing floppies. Thanks again mate! That is the one I read about before. 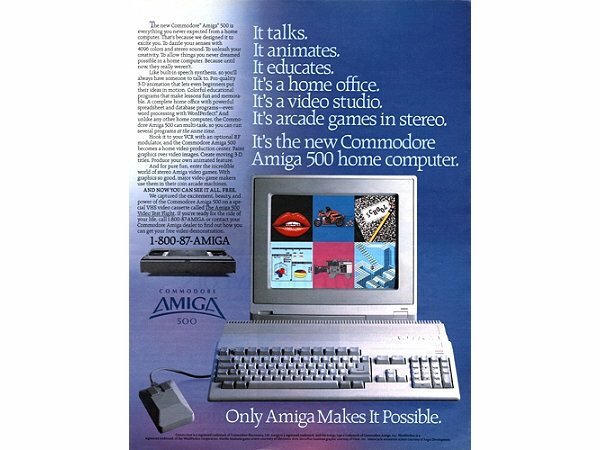 Are you able to test it on an Amiga? Yo I really like checking out your site. I linked to your site on my main site about the PSP 3000 so my visitors will go to your articles too. Great post, love seeing old tech being brought back into the light and used once again. I’ve still got a few bits tucked away that i need to do the same with.